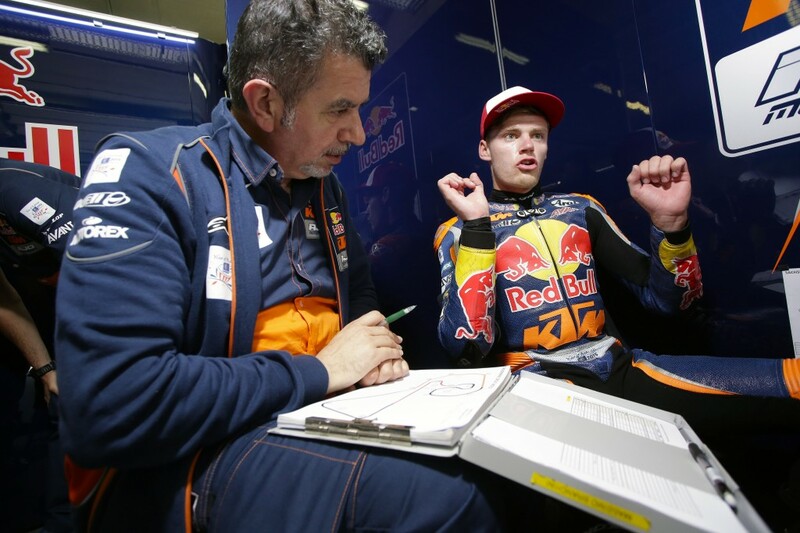 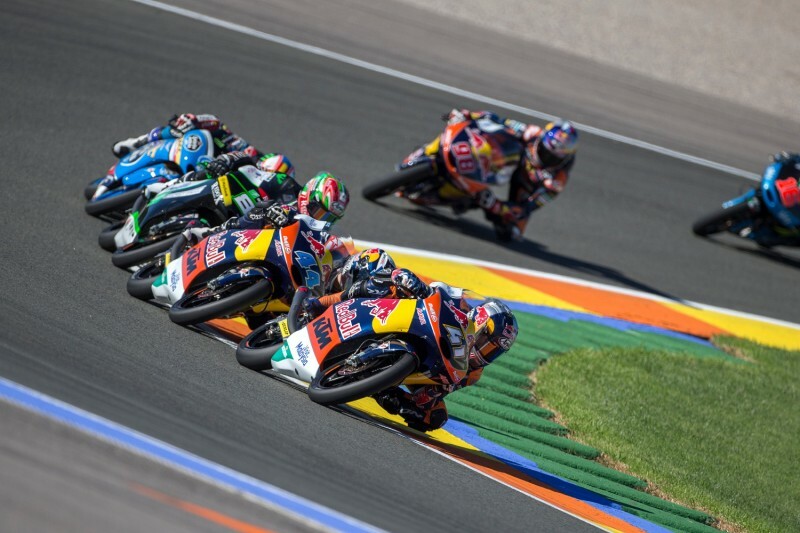 At Valencia and the Ricardo Tormo circuit for the eighteenth and final round of the 2015 Grand Prix campaign we cornered South African Brad Binder for some insight into the core factors needed to burst to the front of the class. 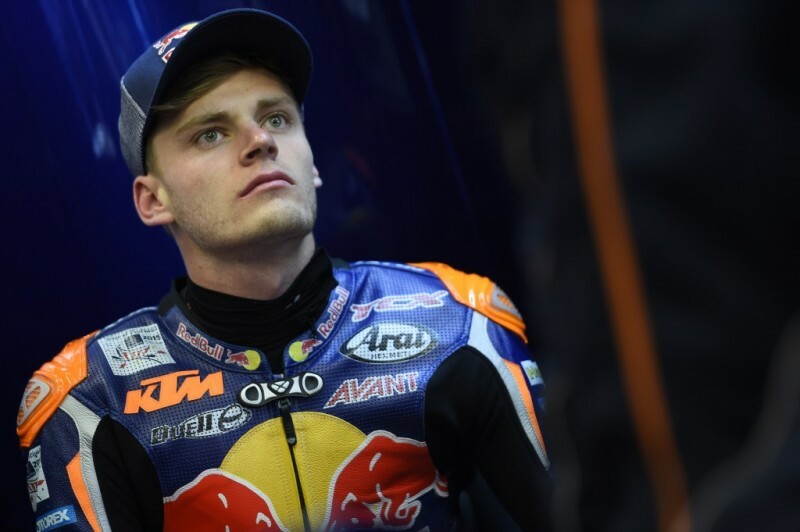 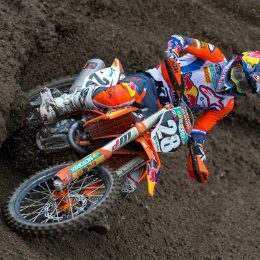 The twenty year old from Potchefstroom – who also uses Spain as a training base during the season – has notched four podium finishes on his works Red Bull KTM and has been vying for first position during the flyaways recently with a third at Phillip Island and then second place in the heat of Sepang. 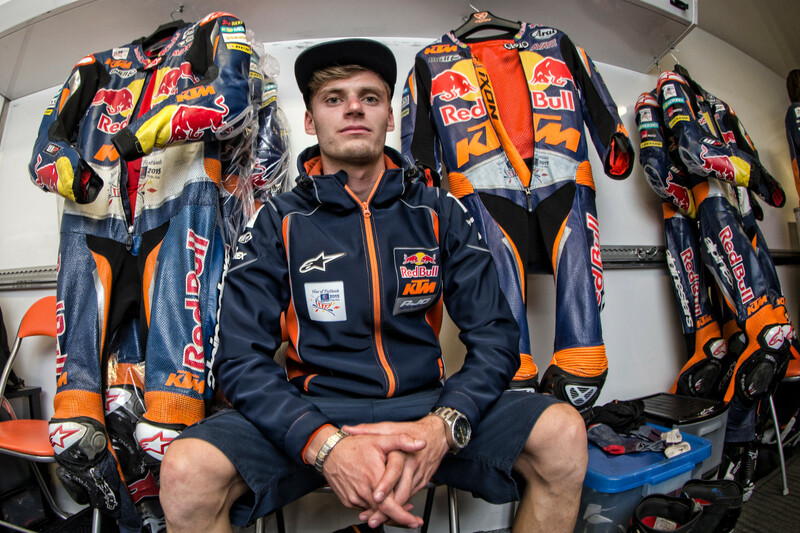 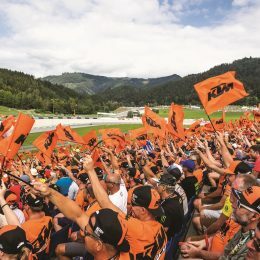 Binder has come through the Red Bull MotoGP Rookies Cup program and thus is used to the jostle of a pack of racers in close proximity as well as the nuances of the KTM RC250 GP. 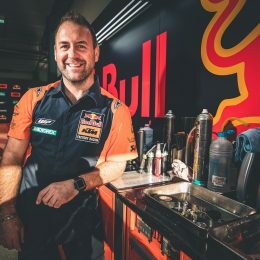 Through three full seasons in Grand Prix and with three different machines ‘41’ knows that support off the bike – and for the bike – is key.